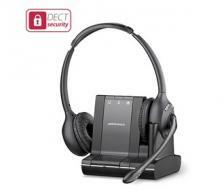 Plantronics Savi W720 headsets are smarter way of calls with either a cell phone, desk phone or even a PC. 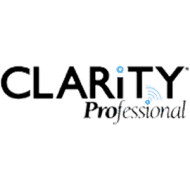 The device is designed in such a manner that the users can get to know about the call with the tone in the ear so the users can discern the tunes keeping the environment calm. These are helpful in the environment where there is crowd and ringer volume is unable to hear or the office environment where minimum noise is allowed. 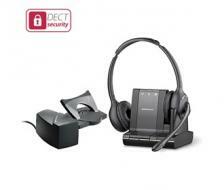 Plantronics Savi W720 headset with lifter is a smarter way of calls with either a cell phone, desk phone or even a PC. The device is designed in such a manner that the users can get to know about the call with the tone in the ear so the users can discern the tunes keeping the environment calm. 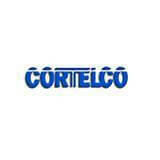 These are helpful in the environment where there is crowd and ringer volume is unable to hear or the office environment where minimum noise is allowed.